Biogeochemical cycles are represented in the atmosphere by several important greenhouse gases, such as carbon dioxide, methane and nitrous oxide. 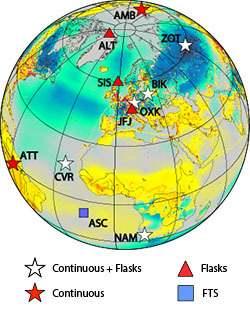 In the Department of Biogeochemical Systems we develop methods to measure these gases in situ and by remote sensing, we expand the measurement network to remote hot-spot regions such as Siberia and Amazonia, and we develop and apply numerical models to quantify the large-scale sources and sinks of the greenhouse gases. 1 Ciais, P., Tan, J., Wang, X., Roedenbeck, C., Chevallier, F., Piao, S.-L., Moriarty, R., Broquet, G., Le Quéré, C., Canadell, J. G., Peng, S., Poulter, B., Liu, Z., Tans, P. (2019). Five decades of northern land carbon uptake revealed by the interhemispheric CO2 gradient. Nature, 568: 221. doi:10.1038/s41586-019-1078-6. 2 Schaller, C., Kittler, F., Foken, T., Göckede, M. (2019). Characterisation of short-term extreme methane fluxes related to non-turbulent mixing above an Arctic permafrost ecosystem. Atmospheric Chemistry and Physics, 19(6), 4041-4059. doi:10.5194/acp-19-4041-2019. 3 Grassi, G., House, J., Kurz, W. A., Cescatti, A., Houghton, R. A., Peters, G. P., Sanz, M. J., Viñas, R. A., Alkama, R., Arneth, A., Bondeau, A., Dentener, F., Fader, M., Federici, S., Friedlingstein, P., Jain, A. K., Kato, E., Koven, C. D., Lee, D., Nabel, J. E. M. S., Nassikas, A. A., Perugini, L., Rossi, S., Sitch, S., Viovy, N., Wiltshire, A., Zaehle, S. (2018). Reconciling global model estimates and country reporting of anthropogenic forest CO2 sinks. Nature Climate Change, 8, 914-920. doi:10.1038/s41558-018-0283-x. 4 Bastos, A., Friedlingstein, P., Sitch, S., Chen, C., Mialon, A., Wigneron, J.-P., Arora, V. K., Briggs, P. R., Canadell, J. G., Ciais, P., Chevallier, F., Cheng, L., Delire, C., Haverd, V., Jain, A. K., Joos, F., Kato, E., Lienert, S., Lombardozzi, D., Melton, J. R., Myneni, R., Nabel, J. E. M. S., Pongratz, J., Poulter, B., Rödenbeck, C., Séférian, R., Tian, H., van Eck, C., Viovy, N., Vuichard, N., Walker, A. P., Wiltshire, A., Yang, J., Zaehle, S., Zeng, N., Zhu, D. (2018). Impact of the 2015-16 El Nino on the terrestrial carbon cycle constrained by bottom-up and top-down approaches. Philosophical Transactions of the Royal Society - B, 373(1760): 20170304. doi:10.1098/rstb.2017.0304. 5 Walker, A. P., De Kauwe, M. G., Medlyn, B. E., Zaehle, S., Iversen, C. M., Asao, S., Guenet, B., Harper, A., Hickler, T., Hungate, B. A., Jain, A. K., Luo, Y., Lu, X., Lu, M., Luus, K., Megonigal, J. P., Oren, R., Ryan, E., Shu, S., Talhelm, A., Wang, Y.-P., Warren, J. M., Werner, C., Xia, J., Yang, B., Zak, D. R., Norby, R. J. (2019). Decadal biomass increment in early secondary succession woody ecosystems is increased by CO2 enrichment. Nature Communications, 10: 454. doi:10.1038/s41467-019-08348-1. 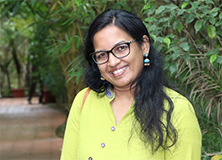 Dhanya Pillai from the Indian Institute of Science Education and Research (IISER) in Bhopal, is visiting our department for two weeks in December. She heads a Max-Planck Partner Group entitled "Top-down estimation of regional sources and sinks of greenhouse gases over the Indian subcontinent constrained by atmospheric observations and modeling". During her stay she will be working with Julia Marshall and Christoph Gerbig on setting up inverse modelling tools at the mesoscale for the indian domain. A further topic will be the development of remote sensing based estimates of emissions from agricultural burning, which represents a major problem for large regions of India. 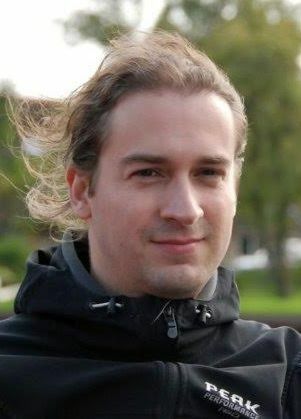 This Summer Martijn Pallandt has been elected as the institute’s representative for the Max Planck PhDNet (PhDnet). PhDnet is a platform for exchange among the about 5000 PhD candidates working at 83 Max Planck Institutes. The goal of PhDnet is to bring together PhD’s from all these institutes to improve interdisciplinary cooperation, optimize doctoral education, scientific exchange, and strengthen academic solidarity. 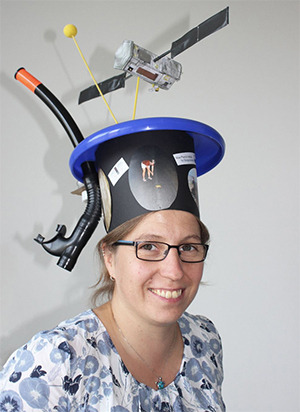 Sabrina Arnold successfully defended her thesis 'Ground-based Remote Sensing of Carbon Dioxide, Carbon Monoxide and Methane on Ascension Island Using Fourier Transform Infrared Spectroscopy' at the University of Bremen.